Demand over the next 10 years for project managers is growing faster than demand for workers in other occupations. PMI R.E.P.s are organizations that we have approved to offer training in project management and issue professional development units (PDUs) to meet the continuing education requirements needed by PMI credential holders. Get involved. Stay involved. Make the most of your membership. Being a PMI member, you get the advantage of joining your nearest Chapter. Regardless of your geographical scope of operation or your professional industry, PMP is a certification that is acknowledged worldwide. You can leverage your PMP certification in every industry, using any methodology and at any location. PMP is widely chosen for its global appeal. Earning the Certification Associate in Project Management (CAPM)® will always be a feather in your cap. An asset for your professional lift up, it will not just augment your reliability but also boost your efficiency as an individual employee or in a team. As per the 2015 Pulse of the Profession® report, organizations following systematic operations accomplish higher goals. The CAPM® prepares you in accordance to the global standards of your profession, in favour of your professional prominence. In the past few years, the ever-growing importance of Business analysis has left companies vying for better analysts A PMI Professional in Business Analysis (PMI-PBA)® certification can make the right candidate for plenty of companies seeking certified Business Analysts. Often inaccurate assemblage of requirement is attributed to failures of projects. Yet only half of existing organisations have the resources to rectify this flaw. 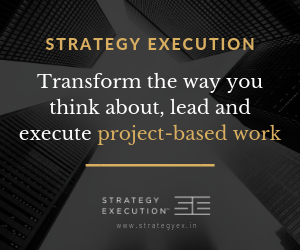 With refined knowledge of agile approach, effective team-work skills and most importantly, capability of responding swiftly to change, your talent is of significant demand in project management. The PMI Agile Certified Practitioner (PMI-ACP)® certification, identifies your forte and mastery over agile principles and techniques, and embellishes you to standout among employers, stakeholders and peers. Find The Training Center Closest To You. Gain in-depth understanding of the need, relevance, current practices, challenges, and research issues involved in an effective project environment. Explore creative methods to reduce time, to avoid any disruptions and to deliver the ambitious growth plans drawn by the organisation. 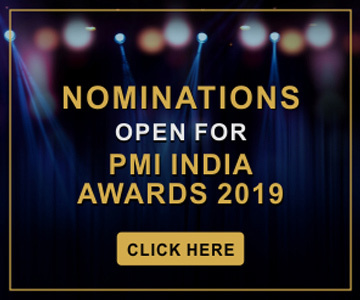 PMI India is engaged in the endeavor of encouraging project professionals to start practicing project management as a profession, use industry related best practices, achieve credentials and thereby promote the profession of project management. PMI India Champion Program is constituted to achieve this objective. Being a project manager can be a stressful job. You are responsible for a project that business people in your organization care a lot about. Someone may have over-committed you, and is now asking you why you aren’t on time, within scope or under budget. PMI is dedicated to progressing the knowledge and practice of project management by following the work of academics through its study and learning programs. Our collection of case studies draws attention to how organizations are implementing project management practices and using PMI products, programs or services to accomplish business goals and to rise above challenges. 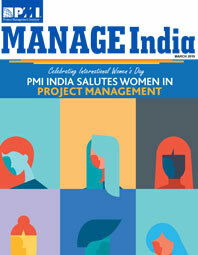 PMI India’s Academic Initiative aims to revolutionise Project Management in every industry. A growing demand for projectized work culture requires dedicated academic initiatives to foster professionals specialized in Project Management.